British reggae band formed in 1967. 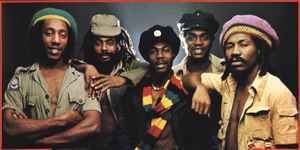 In the first years, the band mostly accompanied Jamaican artist in shows in England (The Pioneers, Derrick Morgan, Nicky Thomas) and also backed (like The Rudies) most of the British productions (including Judge Dread). The group used various alias including Hot Rod All Stars that made them famous amongst the skinheads.